STUDIO smoo has designed the winter packaging for the Market section of the Tokyo-based multifunctional art and commerce complex Spiral situated in the Ayoama district of the city. 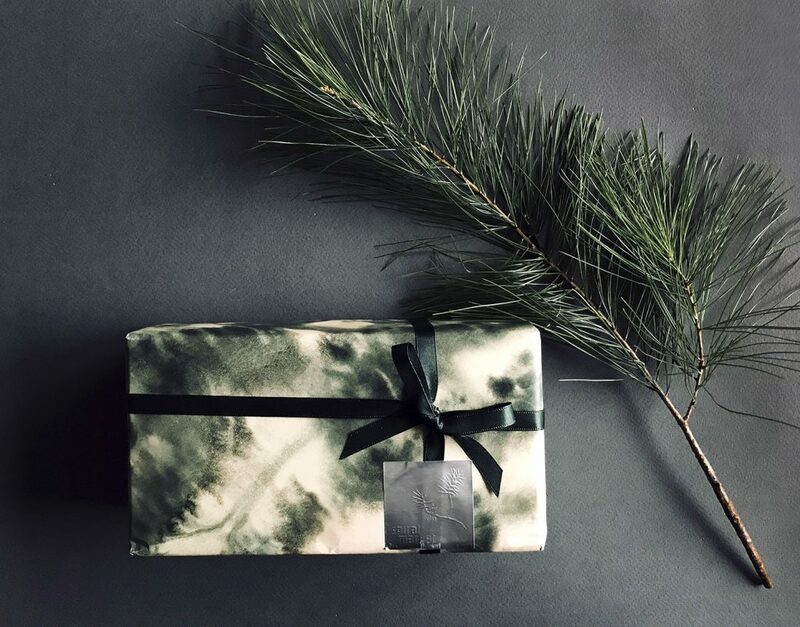 The collaboration called Voice of Forest includes print design for wrapping papers, shop display, stationary products as well as art work for the winter season extending from December 2017 to February 2018. 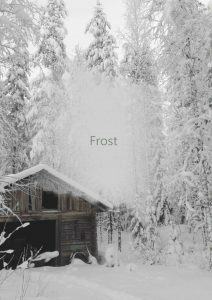 Drawing inspiration from frosty and silent winter forests surrounding STUDIO smoo designer Marianne Huotari’s grandparents’ cottage in the North of Finland, the print design evokes memories of walks along a forest path, framed by trees weighted by snow, leading to a frozen lake where the horizon disappears into the spellbinding whiteness of Finnish winter. 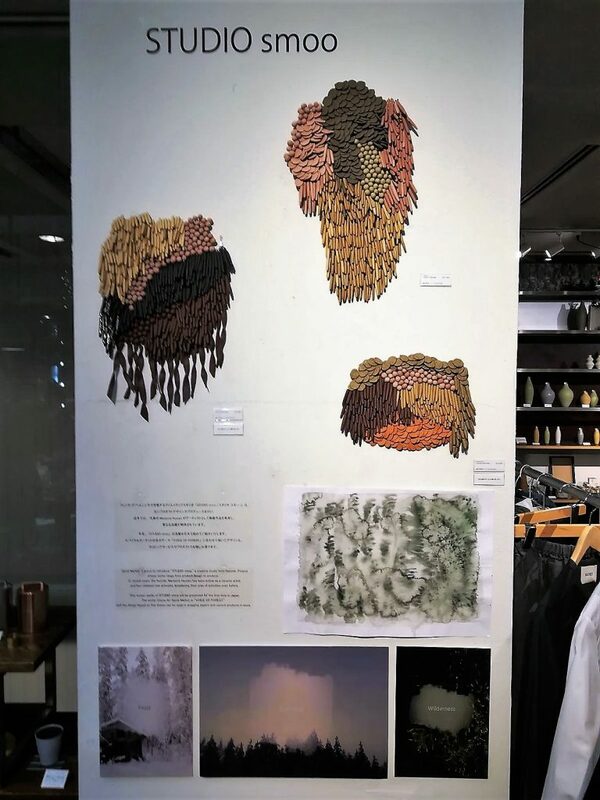 In addition to prints, display and stationary, Spiral is showcasing Studio smoo’s unique and handmade ceramic wall-hangings. The one-of objects are always designed with a specific theme in mind – the three ceramic pieces shown at Spiral are from the collection called “Colored Landscapes”. Delightful, distinct and whimsical, the wall-pieces have in addition to Japan, gained interest both internationally and in Finland due to their distinctive aesthetic and handmade feel that is inspired by traditional Finnish objects and rituals as well as 19th century rural life in Finland. The collaboration between STUDIO smoo and Spiral will continue during 2018 with print designed for a handkerchief collection created specifically for Spiral. 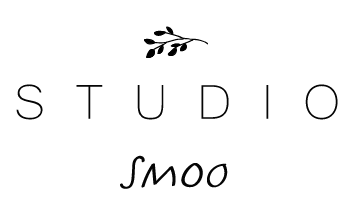 Please provide us a brief introduction of STUDIO smoo's artistic activities. STUDIO smoo is a creative studio from Finland, with boundless amount of ideas. 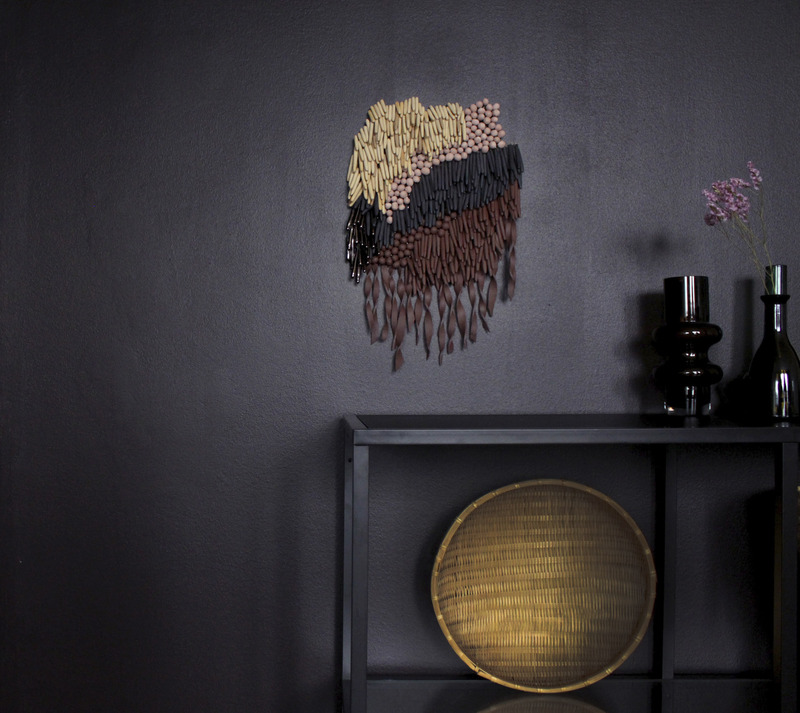 Creating uncluttered designs with piety, the founder Marianne Huotari is known for her deep-rooted home items. STUDIO smoo offers design service for companies, produces silver jewellery collection and interprets everything seen through unique ceramic pieces. Combining materials and forms open-mindedly, Marianne is creating tangible future heritage that encapsulates the STUDIO smoo ideology: “Smoo things matter”. 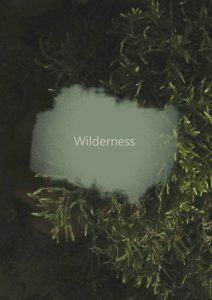 What kind of things, environment or situations do you get inspiration the most? Inspiration comes when not expected. When starting a new design, I do active work around the subject, but the ideas themselves might come just before falling asleep or when walking outdoors. A colour of an old house, the fallen petals or the reflections of a little pond might inspire to a new shape or a pattern. The traditions of Finnish culture inspire me a lot but I'm also very much into travelling. Penetrating to different surroundings and habits gives me actually a deeper understanding of my own roots. After returning home I'm always full of new ideas. Creative work requires time and sometimes you have to wait a long time for inspiration. 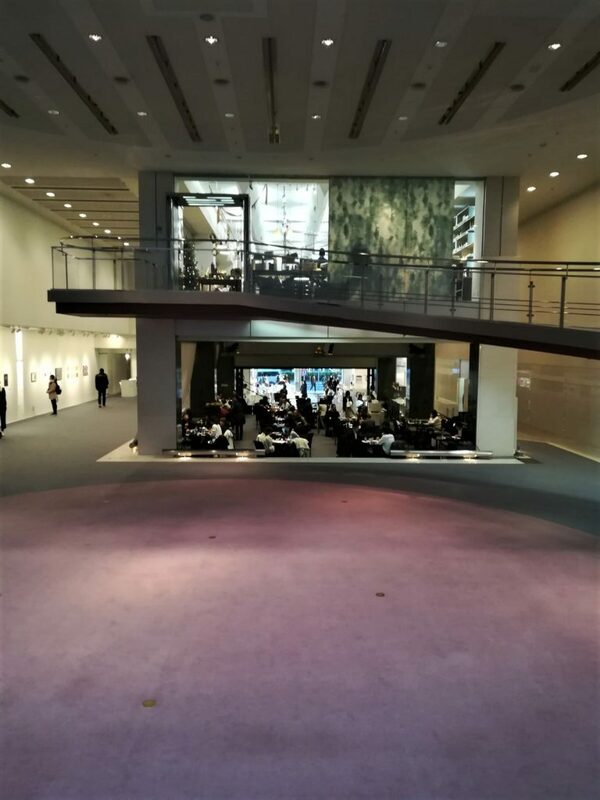 Then I visit exhibitions and read magazines, and try to awake my thoughts as well as rest and be up to something totally different that my mind can process all the things I have seen. Is there a specific task or creation process that you enjoy the most? I always get excited of new projects no matter is it a custom work or my own design. Most of all I enjoy coming up new ideas when everything is possible and I can bring some new perspective to a subject. Tolerating uncertainty is on test before I find the main point of a work from where I start designing. After that the process becomes easier as the story sweeps away. What do you consider the most important during creation? The most important thing of creative work is to be open-minded and forget all the restrictions. I often start my designing process through stories which are based on my own experiences and memories. You have to be honest for yourself and trust on your intuition and vision. It is also good to question familiar methods and step out of your comfort zone that something new can be created. 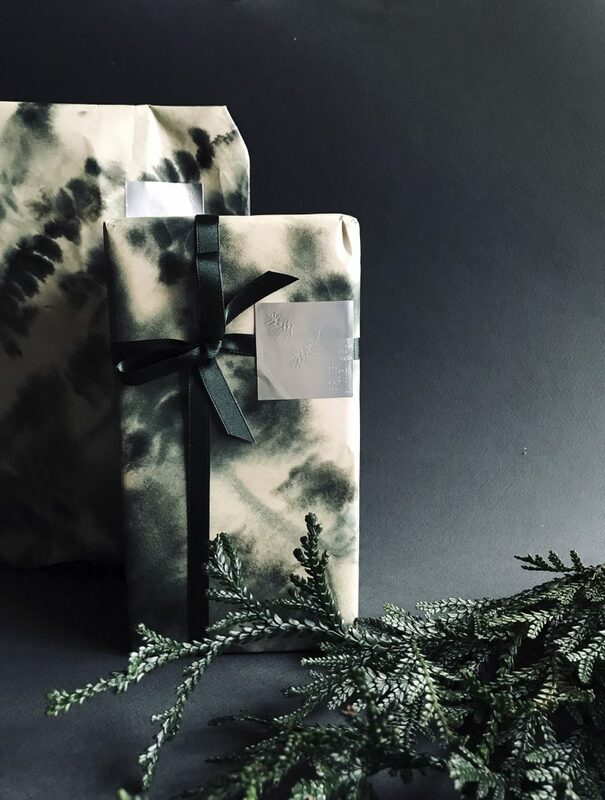 Regarding the wrapping paper design, what kind of image did you have in mind? frozen lake where the horizon disappears into whiteness. What do you consider the most important in your daily living? I enjoy my work as freelance designer and my days go mostly working for STUDIO smoo. I don't mind the long days, because I enjoy my work and consider it as nearly a lifestyle. I’m very thankful that I can work with interesting projects and lovely customers. If I’m not in my studio you can find me doing sports, meeting my friends in coffee shops or relaxing at home. Last summer we moved to a new home, which I’m decorating little by little. I live in an urban environment in Helsinki, and even there are parks and seaside near to me sometimes I crave to nature to quiet down. Then I go to a cottage in a forest or visit my grandmother in Northern Finland. What do you like about wintertime in Finland and activities during the winter? 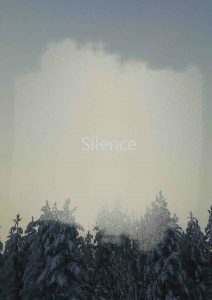 Nowadays there’s unfortunately very little snow in Southern Finland so the proper snowdrifts bring joy and light into so very dark season. The best thing winter offers is the atmospheric nights-in enjoying candlelight drinking tea in a corner of a sofa. Cross-country skiing is a popular winter sport among Finnish people, but I haven’t really got into it. I prefer skating, which I associate with good memories. We used to go ice skating every year on Father’s day. Also, the first date with my partner included skating on nature ice. What is your next challenge as STUDIO smoo? Do you have a specific project head of you? Currently I’m working for projects both in Finland and abroad. The projects and collaborations I’m working with will be launched in the beginning of 2018. 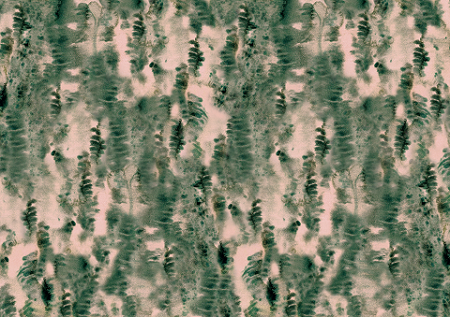 There will be many works regarding textile design. In future I hope to find new partners within international markets. I continue to work with ceramic art works and among other things I have started a new project which combines art and clothing.